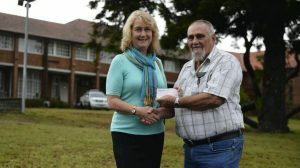 During the year we said goodbye to Muswellbrook Carelink and the volunteer effort that since the early 1980s had provided support and equipment to people in the Muswellbrook Local Government Area. Farewell Muswellbrook Carelink we salute you! 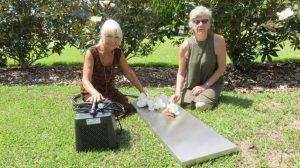 We also farewelled Susan Brooks from HammondCare’s Northern Beaches palliative care volunteer service, Ellen Smith from the Central Coast’s palliative care volunteer service in Long Jetty and Kittie Dwyer who coordinated the palliative care volunteers in Parkes in a voluntary capacity. We welcomed the Cancer Council NSW and volunteer coordinator Erin Daley who launched a new volunteer service in Muswellbrook in December. We also welcomed Western NSW LHD’s volunteer programme and the two volunteer coordinators, one in the northern sector (Candice Golding) and one in the southern sector (Nella Powell). More welcomes went to new volunteer coordinators in Goulburn (Katherine Lee) and Wagga Wagga (Catherine Stockil), as well as Glenda Golledge to a new position in Western Sydney LHD and Elizabeth Hinder to a new position with Silver Chain in their Western Sydney office, and Tony Fisher in Parkes. 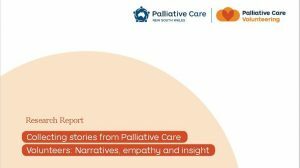 A special Legal Issues Workshop was held for palliative care volunteer managers in Blacktown in March, the 2017 Palliative Care Volunteer Conference in Maitland in May was a hit with attendees keen to explore art and expression, the Blue Mountains Palliative Support Service celebrated their 30th anniversary in July and the Western Sydney Supportive Care Volunteer Programme celebrated its 1st anniversary in December. Also in December Mary Leehane from Broken Hill Hospital won the Volunteer of the Year Award for Excellence in Volunteer Management. The Volunteer Support Services Programme clocked up 3000 downloads via VolunteerHub, engaging readers across 13 countries. Our most-read post was ‘Death doula, death midwife and amicus mortis’. 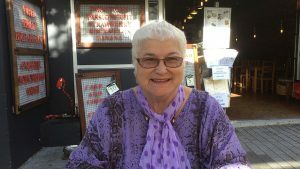 This year the last word goes to Tina who only recently started her role as a palliative care volunteer in Western Sydney. "(At first) my friends said “why do you want to do this? You’re going to cry, it’s going to be sad, it’s going to be lonely – why do you want to put yourself in that situation? And to be honest it’s been completely the opposite – it’s been rewarding…There have been a lot of situations where I haven’t known what to do, I’ve sat there and I’ve thought to myself “what can I do?” … In those moments I have thought to myself I should just love and be here – and that has helped a lot”. 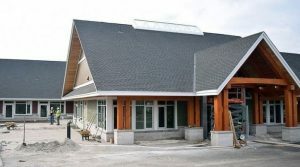 To all palliative care volunteers, thank you for what you do. 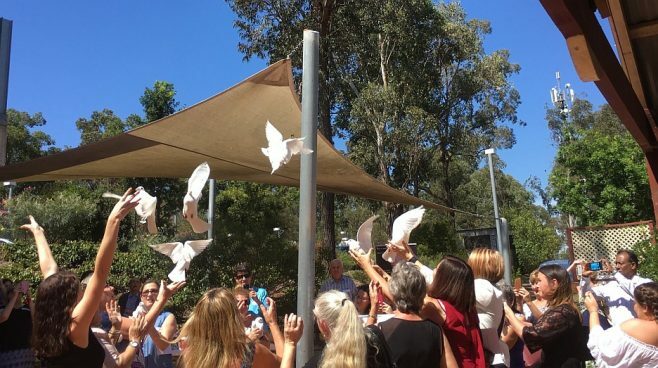 Pic: ‘White Doves’ being released as part of the Western Sydney LHD’s Memorial Service, one of the many activities involving palliative care volunteers in NSW.